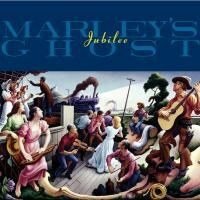 Marley's Ghost's Jubilee is a joyous record that more than earns its title. There's a sincere sense of celebration in these songs, nearly half of them being re-workings of existing songs played by seasoned professionals and their friends. With legendary producer Cowboy Jack Clement on hand for these sessions and a who's-who roster of both young and old Americana, roots, and folk musicians, Marley's Ghost would've had to go a long way to fail. Though that never happens, Jubilee falls victim to the curse of the covers record; while certainly complete, it's not a particularly important release. Although what Jubilee does achieve with its limited opportunity is admirable. Opening with "Rollin'" proves to be a wise decision that eases first-time listeners into Marley's Ghost session-style sensibilities. It's a fine tune but gets completely blown out of the water by "Wake Up Mama" which features some seriously fierce countrified guitar soloing. On "Wake Up Mama" none of the band holds back, trading blistering solos back and forth as the song steamrolls along. You can practically see the smiles on their faces. However on "The Blues Are Callin'" the band seems to lose some steam and just coast on a conventional roots tune. "This Old Road" introduces Jubilee's first guest, John Prine, into the mix quite nicely and subtly re-invigorates it. Prine and Marley's Ghost's styles prove to be perfect complementary fits for each other as they take on Kris Kristofferson's song with ease. That level of symbiosis is the first indicator of what the rest of Jubilee has to offer. For their take on Bobby & Shirley Womack's "It's All Over Now", the band expands to its greatest number with the help of young torch-bearers Old Crow Medicine Show and the producer, Cowboy Jack Clement himself, getting in on the action. What ensues is Jubilee's most representative song, incorporating the feel of a particularly spirited down south style porch jam. Everyone clicks with everyone and no one outshines anyone else, it's a truly collaborative effort and it yields fantastic results. "South for a Change" returns the band to the problem of writing original material that while, pleasant as it is, simply doesn't touch the covers on Jubilee. One of those covers marks one of the most intriguing moments on the record and it comes in the form of John Prine's "Unwed Fathers". Though they did get Prine to guest on the record, the only guest they incorporate here is Emmylou Harris, who's been one of music's most tireless collaborators and always lends a large amount of charm to whichever track she shows up on. "Unwed Fathers" is no exception, though the legendary singer apparently had some trouble working the duet into her range during the recording sessions, saying "I'll be out here 'til the cows come home" which prompted the response "what time do the cows come home? ", which earned the quip "as soon as I get this part!" That particular exchange between Marley's Ghost and Harris serves as a good indicator of the spirit exuding from Jubilee which rarely wavers. Another unquestionable highlight comes in the Levon Helm cover "Growin' Trade" from his fantastic Dirt Farmer. On that track, which now will undoubtedly act as a touching and tragic tribute, Marley's Ghost brings in the only Non-Nashville musician to guest; the co-writer of the song itself and Helm's closer personal friend and producer Larry Campbell, who was also at one point a key member of Bob Dylan's band. It's a beautiful piece that the band clearly put their heart into. For the next track, the Katy Moffat and Tom Russell cover "Hank and Audrey", Marty Stuart shows up for some vocal work and Larry Campbell sticks around to absolutely tear into a guitar solo as the band pounds away behind him. Jubilee's most restrained cover is a Butch Hancock-penned song called "If You Were A Bluebird" that just features Marley's Ghost more than adeptly navigating the songs quiet restraint and determinism. It's a necessary moment of relative silence that helps Jubilee feel like a slightly more complete work and rounds it out nicely before the last trio of tracks. First being the only original tune that the band conjures up, "Lonely Night", that matches the covers on the record. It's a truly great porch-style song and proves the band is capable of living up to their potential. Their take on the traditional "Diamond Joe" comes next and finds them fully encapsulated in their comfort zone, making it an incredibly accessible track and easy listen but doesn't offer anything that'd have people holding it up as a highlight when compared to the other tracks. Jubilee ends on "She Made Me Lose My Blues" which was originally written by Paul Siebel. Surprisingly, the band doesn't really go off on this song, though they do put their all into the re-working. It's ultimately just a quick little song that could have fit virtually anywhere into Jubilee. "She Made Me Lose My Blues" doesn't even stand out as one of Jubilee's best covers so the sequencing feels particularly strange here. It closes Jubilee more abruptly than it deserves to be and leaves listeners contemplating several things. Fortunately, most of the material Jubilee offers as food for thought is more positive than not. Marley's Ghost is a fantastic band who have themselves figured out, now they just need more of their own material to prove it.